Custom trim. EPA 30 MPG Hwy/19 MPG City! AND MORE! KEY FEATURES INCLUDE Child Safety Locks, 4-Wheel ABS, Front Disc/Rear Drum Brakes, Vehicle Anti-Theft System. VEHICLE REVIEWS newCarTestDrive.com explains Buick likes to say the LeSabre offers peace of mind, and it does exactly that.. Great Gas Mileage: 30 MPG Hwy. VISIT US TODAY After more than 50 years in business, The Hubler Auto Group, through the power of ten central Indiana locations, has literally sold hundreds of thousands of vehicles and is one of the oldest and most prolific auto dealers in the State employing 550 people. The Hubler Auto Group can claim the title for selling more G.M. vehicles in the State of Indiana than any other dealer or dealer group, and has earned the right to brag of having the largest and most loyal customer Fuel economy calculations based on original manufacturer data for trim engine configuration. Please confirm the accuracy of the included equipment by calling us prior to purchase. SE trim. FUEL EFFICIENT 29 MPG Hwy/20 MPG City! AND MORE! 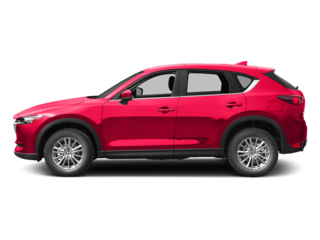 KEY FEATURES INCLUDE Remote Trunk Release, Child Safety Locks, Bucket Seats, 4-Wheel ABS, Front Disc/Rear Drum Brakes. EXPERTS ARE SAYING newCarTestDrive.com explains The Grand Am has long relied on overstated styling to make a strong first impression. It shouts Pontiac excitement with its road-hugging lines and extroverted styling cues. There's no confusing this car with other compact cars.. Great Gas Mileage: 29 MPG Hwy. Fuel economy calculations based on original manufacturer data for trim engine configuration. Please confirm the accuracy of the included equipment by calling us prior to purchase. EPA 29 MPG Hwy/20 MPG City! SE trim. Aluminum Wheels. AND MORE! 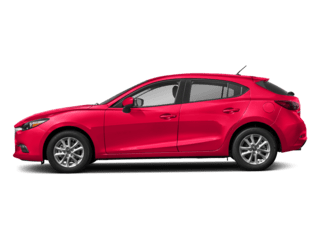 KEY FEATURES INCLUDE Aluminum Wheels, Remote Trunk Release, Steering Wheel Controls, Bucket Seats, 4-Wheel Disc Brakes. EXPERTS REPORT Great Gas Mileage: 29 MPG Hwy. WHO WE ARE After more than 50 years in business, The Hubler Auto Group, through the power of ten central Indiana locations, has literally sold hundreds of thousands of vehicles and is one of the oldest and most prolific auto dealers in the State employing 550 people. The Hubler Auto Group can claim the title for selling more G.M. 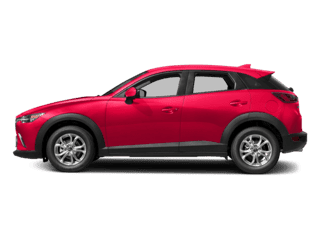 vehicles in the State of Indiana than any other dealer or dealer group, and has earned the right to brag of having the largest and most loyal customer Fuel economy calculations based on original manufacturer data for trim engine configuration. Please confirm the accuracy of the included equipment by calling us prior to purchase. EPA 30 MPG Hwy/19 MPG City! Limited trim. Dual Zone A/C, Aluminum Wheels. SEE MORE! KEY FEATURES INCLUDE Dual Zone A/C Aluminum Wheels, Keyless Entry, Remote Trunk Release, Child Safety Locks, Electrochromic rearview mirror. EXPERTS REPORT newCarTestDrive.com's review says Buick likes to say the LeSabre offers peace of mind, and it does exactly that.. Great Gas Mileage: 30 MPG Hwy. 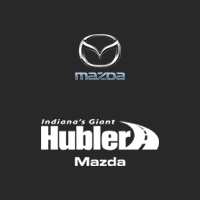 WHO WE ARE After more than 50 years in business, The Hubler Auto Group, through the power of ten central Indiana locations, has literally sold hundreds of thousands of vehicles and is one of the oldest and most prolific auto dealers in the State employing 550 people. The Hubler Auto Group can claim the title for selling more G.M. 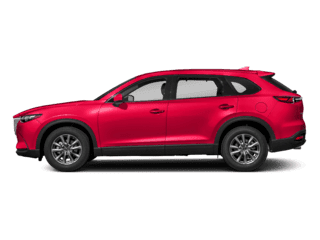 vehicles in the State of Indiana than any other dealer or dealer group, and has earned the right to brag of having the largest and most loyal customer Fuel economy calculations based on original manufacturer data for trim engine configuration. Please confirm the accuracy of the included equipment by calling us prior to purchase. Suburban trim. 4x4. 4 Star Driver Front Crash Rating. CLICK NOW! KEY FEATURES INCLUDE 4x4 Vinyl Seats, 4-Wheel ABS, Front Disc/Rear Drum Brakes, Vehicle Anti-Theft System. EXPERTS ARE SAYING 4 Star Driver Front Crash Rating. 4 Star Passenger Front Crash Rating. OUR OFFERINGS Big city deals with a hometown feel. Experience the difference. Drive Hubler Certified Pre-owned. Please confirm the accuracy of the included equipment by calling us prior to purchase. BLUE GRANITE exterior and MEDIUM GRAY INTERIOR TRIM interior. WILL NOT LAST!! !, CARFAX 1-Owner. WAS $3,888, FUEL EFFICIENT 26 MPG Hwy/19 MPG City! 3rd Row Seat, CLIMATE PACKAGE, ENGINE, 3.4L 3400 V6 SFI (185 HP [138..., TRANSMISSION, 4-SPEED AUTOMATIC, ELEC..., SERVICED HERE! LOCAL TRADE-IN! LOCATED IN RUSHVILLE! CALL TODAY 877-725-3003. 4 Star Driver Front Crash Rating. CLICK NOW! EXCELLENT SAFETY FOR YOUR FAMILY 4 Star Driver Front Crash Rating. 4 Star Passenger Front Crash Rating. Child Safety Locks, Front Disc/Rear Drum Brakes Safety equipment includes Child Safety Locks Chevrolet Plus with BLUE GRANITE exterior and MEDIUM GRAY INTERIOR TRIM interior features a V6 Cylinder Engine with 185 HP at 5200 RPM*. AFFORDABLE TO OWN Was $3,888. OPTION PACKAGES CLIMATE PACKAGE includes (AJ1) Glass, Solar-Ray deep tinted, (C49) Defogger, rear window, (DR5) Mirrors, outside rearview, power, heated and (C25) Wiper, rear, ENGINE, 3.4L 3400 V6 SFI (185 HP [138.0 KW] @ 5200 RPM, 210 LB.-FT. [283.5 N-M] @ 4000 RPM) (STD), TRANSMISSION, 4-SPEED AUTOMATIC, ELECTRONICALLY CONTROLLED WITH OVERDRIVE (STD). SERVICED HERE! LOCAL TRADE-IN! LOCATED IN RUSHVILLE! CALL TODAY 877-725-3003. EXPERTS CONCLUDE Great Gas Mileage: 26 MPG Hwy. BUY FROM AN AWARD WINNING DEALER After more than 50 years in business, The Hubler Auto Group, through the power of ten central Indiana locations LOCATED IN RUSHVILLE! Pricing analysis performed on 4/18/2019. Horsepower calculations based on trim engine configuration. Fuel economy calculations based on original manufacturer data for trim engine configuration. Please confirm the accuracy of the included equipment by calling us prior to purchase. $900 below NADA Retail!, EPA 32 MPG Hwy/22 MPG City! 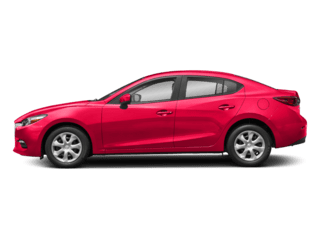 Moonroof, SPOILER, REAR, CONVENIENCE PACKAGE, SOUND SYSTEM, ETR AM/FM STEREO WITH 6... Chrome Wheels, BRAKES, 4-WHEEL ANTILOCK, 4-WHEEL DIS... PREMIUM VALUE PACKAGE CLICK NOW! KEY FEATURES INCLUDE . Chrome Wheels, Remote Trunk Release, Keyless Entry, Bucket Seats, Vehicle Anti-Theft System. 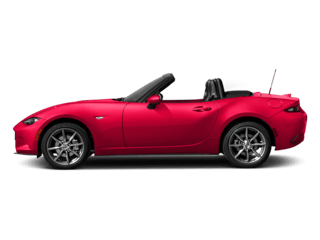 OPTION PACKAGES PREMIUM VALUE PACKAGE, includes (PF9) Wheels, 16 (40.6 cm) cast aluminum, painted (G6), (PFF) Wheels, 17 (43.2 cm) cast aluminum, painted (6-CYL), (CF5) Sunroof, power, (UC6) Sound system, ETR AM/FM stereo with 6-disc CD changer, in-dash Includes (FE2) Suspension, Sport and (QWN) Tires, P225/50R17, touring, blackwall. (CF5) Sunroof, power upgradeable to (C3Y) Panoramic roof, power. ), BRAKES, 4-WHEEL ANTILOCK, 4-WHEEL DISC, includes a traction control system, SOUND SYSTEM, ETR AM/FM STEREO WITH 6-DISC CD CHANGER, IN-DASH, ELECTRONICALLY-TUNED, includes Radio Data System, seek-and-scan, digital clock, auto-tone control, TheftLock, random disc function, graphic equalizer and Driver Information Center, CONVENIENCE PACKAGE, includes (JF4) Pedals, power, adjustable, (B37) Floormats, carpeted, front and rear and (AP9) Cargo net, SPOILER, REAR, REMOTE VEHICLE STARTER SYSTEM, included in key fob, TRANSMISSION, 4-SPEED AUTOMATIC, ELECTRONICALLY CONTROLLED WITH OVERDRIVE (STD), PANORAMIC ROOF, POWER, 4-PANEL GLASS, RETRACTABLE, MULTI-POSITION WITH ELECTRIC SUNSHADE, ENGINE, 3.5L 3500 V6 SFI (201 HP [149.7 kW] @ 5600 rpm, 222 lb.-ft [300.7 N-m] @ 3200 rpm) (STD). Pontiac 6-Cyl with STEALTH GRAY METALLIC exterior and TRIM VEHICLE REVIEWS Great Gas Mileage: 32 MPG Hwy. EXCELLENT VALUE This G6 is priced $900 below NADA Retail. Pricing analysis performed on 4/13/2019. Horsepower calculations based on trim engine configuration. Fuel economy calculations based on original manufacturer data for trim engine configuration. Please confirm the accuracy of the included equipment by calling us prior to purchase. PRICED TO MOVE $600 below NADA Retail!, FUEL EFFICIENT 29 MPG Hwy/23 MPG City! GLS trim. Moonroof, CD Player, Aluminum Wheels. 5 Star Driver Front Crash Rating. CLICK ME! KEY FEATURES INCLUDE Sunroof, CD Player, Aluminum Wheels. Keyless Entry, Remote Trunk Release, Child Safety Locks, Heated Mirrors, Bucket Seats. EXPERTS REPORT We've always liked the Golf, a fun-to-drive, chunky-but-spunky hatchback that has been a best-seller in Europe for more than two decades. -Edmunds.com. 5 Star Driver Front Crash Rating. 5 Star Passenger Front Crash Rating. Great Gas Mileage: 29 MPG Hwy. EXCELLENT VALUE This Golf is priced $600 below NADA Retail. Pricing analysis performed on 4/13/2019. Fuel economy calculations based on original manufacturer data for trim engine configuration. Please confirm the accuracy of the included equipment by calling us prior to purchase. Base trim, Lt Parchment Gold Metallic exterior and Light Parchment interior. $200 below NADA Retail! Sunroof, Heated Leather Seats, Multi-CD Changer, Alloy Wheels. CLICK NOW! KEY FEATURES INCLUDE Leather Seats, Sunroof, Heated Driver Seat, Multi-CD Changer, Chrome Wheels, Heated Seats, Heated Leather Seats. Lincoln Base with Lt Parchment Gold Metallic exterior and Light Parchment interior features a 8 Cylinder Engine with 275 HP at 5750 RPM*. Remote Trunk Release, Keyless Entry, Heated Mirrors, Traction Control, Electrochromic rearview mirror. PRICED TO MOVE This Continental is priced $200 below NADA Retail. WHY BUY FROM US Big city deals with a hometown feel. Experience the difference. Drive Hubler Certified Pre-owned. Pricing analysis performed on 3/27/2019. Horsepower calculations based on trim engine configuration. Please confirm the accuracy of the included equipment by calling us prior to purchase. 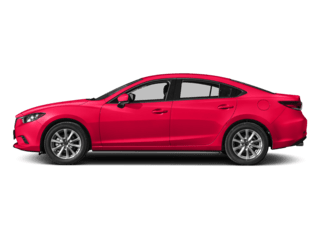 Moonroof, Leather, ADVANCED AUDIO SYSTEM, Aluminum Wheels, PWR SUNROOF, PWR DRIVER SEAT, ANTI-LOCK BRAKE SYSTEM (ABS), REAR SPOILER, KBB.com explains European road sensibility coupled with American styling and comfort SEE MORE! KEY FEATURES INCLUDE Leather Seats, Aluminum Wheels. Saturn LS with Dark Blue exterior and Black interior features a V6 Cylinder Engine with 182 HP at 5600 RPM*. 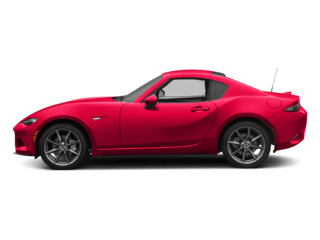 OPTION PACKAGES PWR SUNROOF, ANTI-LOCK BRAKE SYSTEM (ABS) traction control, PWR DRIVER SEAT, REAR SPOILER, ADVANCED AUDIO SYSTEM additional amplifier, sub-woofer, premium speakers. Keyless Entry, Child Safety Locks, Heated Mirrors, Bucket Seats, 4-Wheel Disc Brakes. EXPERTS REPORT European road sensibility coupled with American styling and comfort -KBB.com. 5 Star Driver Front Crash Rating. 5 Star Passenger Front Crash Rating. WHY BUY FROM US Big city deals with a hometown feel. Experience the difference. Drive Hubler Certified Pre-owned. Pricing analysis performed on 4/3/2019. Horsepower calculations based on trim engine configuration. Please confirm the accuracy of the included equipment by calling us prior to purchase.